Today is National Adoption Day, and, since I am an adoptive dad, it seemed appropriate for me to write today’s article. But as I considered my angle, I was torn between the desire to talk up how beautiful adoption is and the responsibility to acknowledge how heartbreaking adoption is as well. There is an inherent, inescapable tension in adoption–tension between joy and sorrow, hope and grief, healing and loss. This tension is what made this article so difficult to write. Even though adoption has played a major, amazing role in my life, I know it has played a major, dreadful role in others’ lives. I want to celebrate what adoption has meant to me, and at the same time respect what adoption has meant to others. In general, though, there aren’t just the two camps of those who love adoption and those who hate it. Rather, the tension of adoption exists in all of us who are touched by it, stretching our hearts between two extremes. If you’re an adoptive dad, you know what I’m talking about. Your child wouldn’t have joined your family without tremendous loss and pain, but it’s loss that you can’t replace and pain that you can’t heal. Yes, there’s wonderful joy to be had when a child is adopted, but that joy would not have been possible without unspeakable heartbreak. I want my family to feel like we’ve been together since day one like a typical family, but I know that my son’s story began twelve years before I ever met him. The relationships and experiences he had in that time still matter and make up the person he is today. I ache for my son to call me Dad, but I understand that, for him, the word Dad is accompanied by such heavy baggage. I can only imagine how scary, foreign, gut-wrenching, and maybe even traitorous it must feel to call a new man Dad. I wish my son could be just like any “normal” teenager (if there is such a thing), but I realize that trauma and broken attachments often cause major disruptions in a child’s brain development that require an atypical parenting style. Your child is of a different race. Your child doesn’t want to take your last name. Your child is still loyal to or has a relationship with his/her biological family. Your child doesn’t accept your personal values. Your child isn’t interested in your family traditions. Your child feels like he/she was kidnapped from his/her biological family. It’s impossible to escape this tension because it’s endemic to all adoptive situations. Even if you adopted your same-race child at birth from a biological family that is in full support of the adoption and the child fits right into your family, accepts all of your values, and loves you unconditionally, the tension will persist. And let me be very clear: this tension has the absolute right to exist, and your child has the absolute right to feel however he/she feels about his/her adoption. The tension can be demoralizing sometimes, but, as adoptive parents, we don’t have the right to dictate how our adopted children handle the arduous and even traumatic experience of losing their first families and joining new ones. Plain and simple, adopted children deserve adoptive families who will embrace the tension of adoption. These children’s stories, their losses, their traumas, their birth families, their hopes, their fears, their strengths, their needs, their loyalties, their cultures–all of them matter, all of them belong, and all of them should be embraced in their adoptive families. I understand the temptation to dismiss the tension, to ignore its existence and pretend that my family is just like any other family, that my child is just like any other child. Truly, I get it. But, as the adults, it is our job to deal with our very real and very legitimate feelings about the adoption tension so that we can fully embrace it. It is not our adopted children’s responsibility to mitigate the tension by shedding their emotions, past experiences, loyalties, and identities; it is our responsibility as adoptive parents to embrace the tension by accepting their emotions, past experiences, loyalties, and identities. Reread that question. Imagine you were a kid in foster care who overheard your caseworker ask your foster parents that question. While I understood the reason for the question (our son had been disrupted on by two previous pre-adoptive placements), I still couldn’t believe my ears. This was a professional adoption worker asking us what we thought a child needed to do to prove that he was worthy of a family! All children are deserving of a loving family, no matter what. No child should ever have to prove him/herself worthy of love. The fact that even the agency in charge of placing children in adoptive homes didn’t understand this is indicative of a very tragic societal perception of at-risk children. When we believe that children must prove they are worthy to be loved and accepted into adoptive families, we reveal the dark reality that our society views them as commodities instead of vulnerable human beings. And, if we decide that some of them aren’t even commodities worth pursuing, we label them “throw-aways”, “lost causes”, or “bad apples”. This is the sinister underbelly of a refusal to embrace the tension of adoption. We convince ourselves that it is the children who need to change first so that they’ll be the right fit for our families. Tension is uncomfortable, so we choose comfort instead and then blame it on the kids, or the birth parents, or the whole damn system. It’s disgusting, but I know I play a role in it. 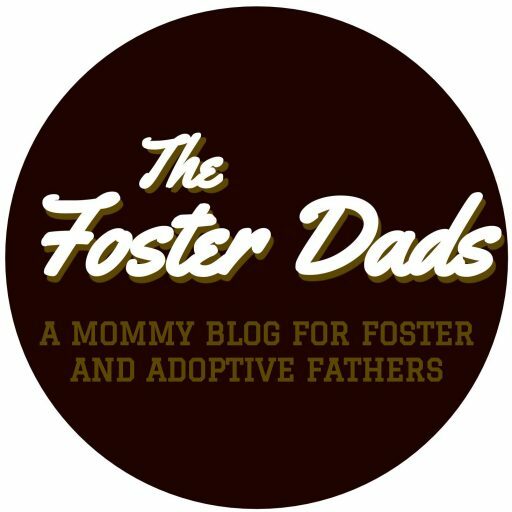 If we’re really serious about adoption, if we actually mean it when we say we care about kids, then we need to recognize that it’s not the kids who need to change. It’s us. We must be willing to crucify our desires, our expectations, our comfort, our reputations, our preferences, our sensibilities, our naivete, and sometimes even our safety. Sometimes, embracing the tension of adoption feels like death–usually the death of our expectations for what our kids and our families should be like. But I believe that death is the gateway to a new, more abundant life, a life we will not find if we’re not willing to lose it. You very well might fit in to our family right away, take on our last name, accept all of our family traditions, love us unconditionally, call us Mom and Dad, smother us with hugs and kisses, graduate with fantastic grades, get an amazing job, and name your children after us, and we will love you forever. But you very well might resist fitting into our family, refuse our last name, reject all of our family traditions, hate our guts, call us all sorts of nasty names, physically attack us, drop out of school, end up in prison, and never speak to us again, and we will love you forever. Or you might end up somewhere in between, and we will love you forever. Anything short of that, and we’re not truly ready to adopt. Or even to have biological children. You can’t change my mind about this. Identify your expectations. Expectations are powerful but often subconscious, so at times we need to do some work to uncover them. Ask yourself these questions, and maybe even write the answers in a journal. Before you adopted, what did you think your child would look like? What did you think your child’s personality would be like? How old did you think your child would be when they came home? How did you think your child would treat you? What kinds of behavior did you expect to deal with? How did you think you would feel toward your child? What did you think issues with birth family would be like? Did you expect your child to call you Dad? What kinds of values did you expect your child to have? Walk the road of your expectations with your child’s feet. Empathize with your child by considering how they might feel about your expectations. Or, if you think your child could handle it, talk with them about it. Do you think they might feel hurt by your expectations? Or disrespected? Or put under too much pressure? Or misunderstood? What expectations do you think they have for you, Dad? Grieve the loss of your unmet expectations. Odds are, not all of your expectations have been met. Even if some of those unmet expectations were completely ridiculous, it still hurts when they don’t come to fruition. It’s okay to be upset about it because there’s real loss there. You can’t embrace the tension of adoption if you don’t acknowledge its presence and its power, and grieving and moving past your unmet expectations is how you can begin to do that. Accept your child as he/she is, right now. Once you have grieved the loss of your expectations, you are now free to fully accept your child. All children are in need of unconditional acceptance from their families, but this is particularly true for children who have been adopted into new families. Myla and Jon Kabat-Zinn, in their amazing book Everyday Blessings: The Inner Work of Mindful Parenting, have this to say about acceptance: “When a child, no matter how old, feels our acceptance, when he feels our love, not just for his easy-to-live-with, lovable, attractive self, but also for his difficult, repulsive, exasperating self, it feeds him and frees him to become more balanced and whole. Children can face all sorts of difficulties and challenge if they can come back to the well of our unconditional love. For it is in our honoring of their whole selves that inner growth and healing take place.” I know how difficult this can be. As I’ve been writing this article my son has been relentlessly irritating and as I was writing out the above quote I got called a rather unsavory name. However, (since I knew I would be writing about acceptance) I’ve been silently saying: (breathe in) I accept you (breathe out) as you are, (breathe in) right now, (breathe out) in this moment. Set new expectations for yourself, not for your child. Figure out what kind of person and parent you want to be and clearly define those expectations for yourself. There are two reasons for this: 1) you can’t control your child, only yourself; and 2) as I said earlier, it’s not the kids who need to change; it’s us. Now, I’m not saying that you shouldn’t have any limits or boundaries in your home. Instead, I’m saying that you should primarily focus on becoming the person you want your child to emulate and on becoming a parent who truly loves your child unconditionally, who doesn’t require your child to prove they’re worthy before you’ll love and accept them in your family. Embrace the tension of adoption by figuring out what you will do in response to it, and then do it. I know this article probably isn’t the greatest recruitment tool to get people excited about adoption, and on National Adoption Day no less. However, I think we owe it to ourselves and our children to acknowledge the tension that comes with the territory, not so we can scare people away, but so we can bring in people who are ready to do this the right way. Adoption is not about us; it’s about the kids. So, fellow adoptive dads, let’s resolve to embrace this tension for our children, even when it’s so unbelievably hard, and do right by our children–regardless of how we feel.